What once was a bleak expanse of white paint is becoming increasingly more inventive as offices and businesses turn to wall coverings as a quick and easy way to promote upfront branding. 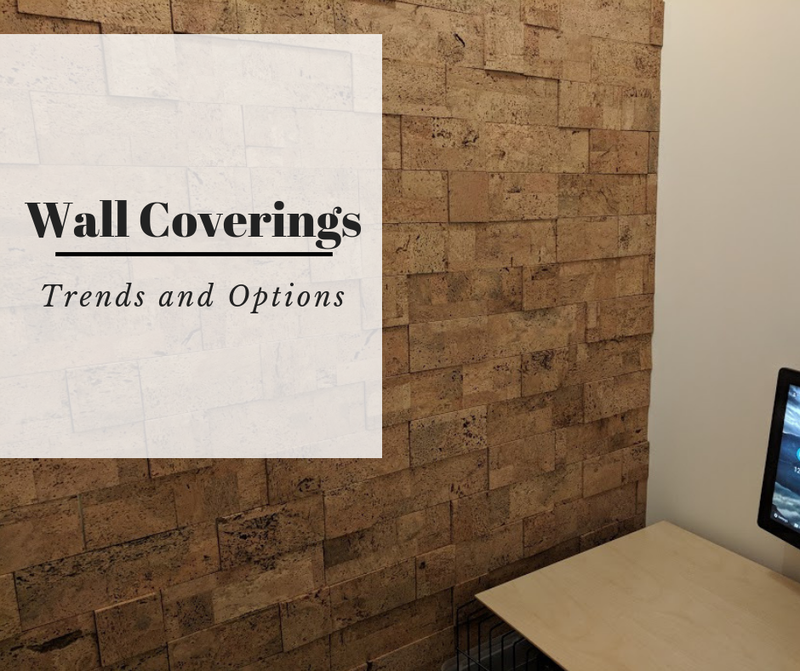 This trend seems certain to continue as current top architectural wall covering designers continue to offer all kinds of unique and creative wall covering materials and textures such as fabric, cork and reclaimed wood. Business owners now have endless options for custom printed wall coverings and murals with the ever-increasing advances in printing technology. Creative wall coverings offer many advantages over traditional options such as paint or wallpaper. Durability- Many of today’s custom wall coverings are created with durability in mind, offering function as well as style. Texture can aid in durability by disguising wear and tear to walls and surfaces that a smooth or shiny surface would show immediately. Materials such as cork offer antimicrobial properties, keeping walls naturally clean and reducing germs. Ease of Installation- Traditional wallpaper brings to mind messy glue, difficulty lining up patterns, and permanence. Many modern wall coverings and panels are designed to install quickly and change out easily. Panels such as our Cork Bricks even offer peel and stick options for speedy installation. Branding- Wall coverings can be customized to include a company logo or color scheme offering instant recognition and making a memorable impression on visitors and clients. Mix and match organic cork blocks to create a unique pattern in a wide range of colors- many can even be painted for a custom look. Consider modular wall coverings in your next design to create an easy, unique, and memorable look. “Form follows function”. 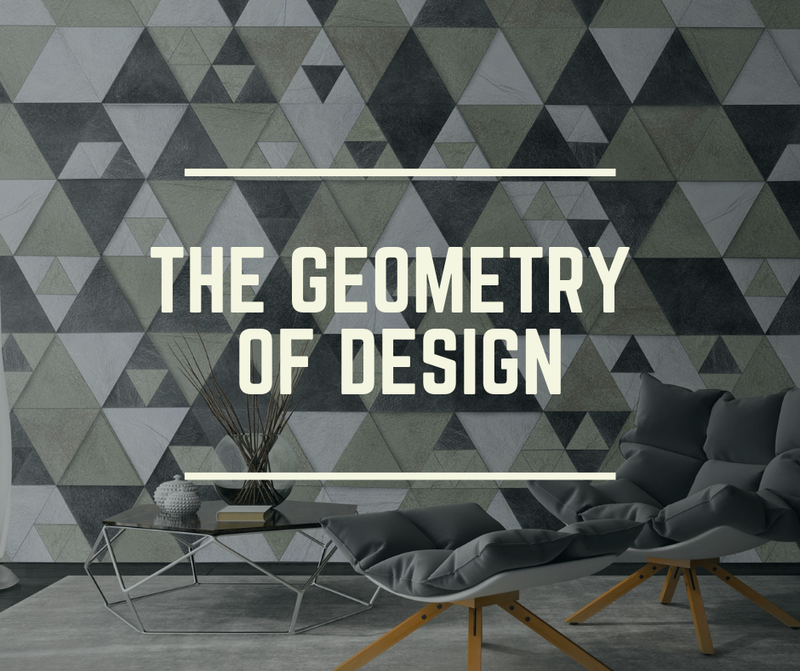 Just as the architect Louis Sullivan declared, so modern designers should always consider the intended use of the space before beginning the design process. When considering the design of healthcare facilities, three important areas stand out. The future of a healthcare practice relies on making a good impression on the patients and staff that come in and out of the practice. All areas from the waiting room to the patient rooms should be clean, sterile, and convey efficiency. Using products with clean lines and inviting colors will create the impression of cleanliness and order. In general, healthcare facilities are not places people are excited to visit. Often patrons are nervous or not feeling well and the design should attempt to alleviate and soothe anxiety. Soft colors, simple patterns and ideal lighting can create a calming space. Good acoustics are important as well to dampen sound and reverberation. A calming, comfortable environment can even statistically lower blood pressure and mental well-being. From mobility plans to ventilation, safety and wellness obviously at the top of the list of things to consider in healthcare design. Hospitals and health offices can often be very busy, filled with people rushing from room to room. Clear signage and color-coded areas are two ways to improve wayfinding. One of the most important considerations is to inhibit the spread of disease. 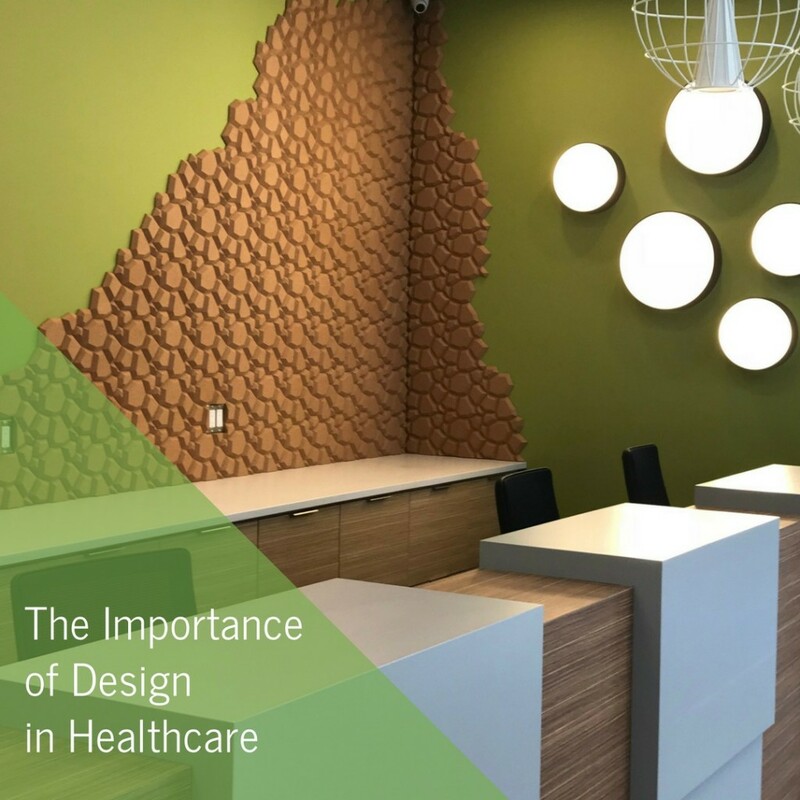 Designers can assist in this goal by specifying materials that are easy to clean, hold up to high traffic, and optimally even provide natural anti-microbial surfacing such as our cork wall tiles. Cork wall tiles are the designer’s perfect tool. Not only are they incredibly easy to install, they also offer unlimited options even when using the smallest amount. 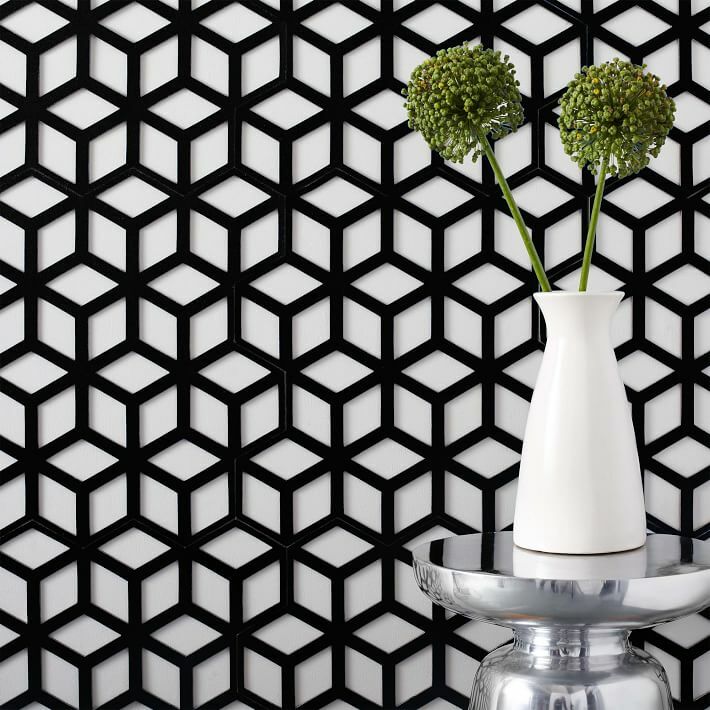 We offer wall tiles in every shape and size from our mosaic Versacork to our large format Metalegance. When you utilize modular design products, you increase the flexibility of your design allowing it to be easily adaptable for future use. Cork tiles add color and texture to walls and can accommodate everything from contemporary to classic styles. Each of our product lines offer several colors to choose from including natural earth tones. Many of our products are even paintable or stainable so that you can achieve the exact look you envision. 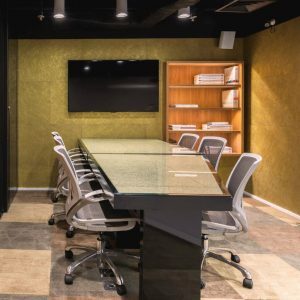 Cork tiles naturally provide acoustical benefits because of cork’s inherent noise absorption which is especially welcome in conference rooms and office spaces. 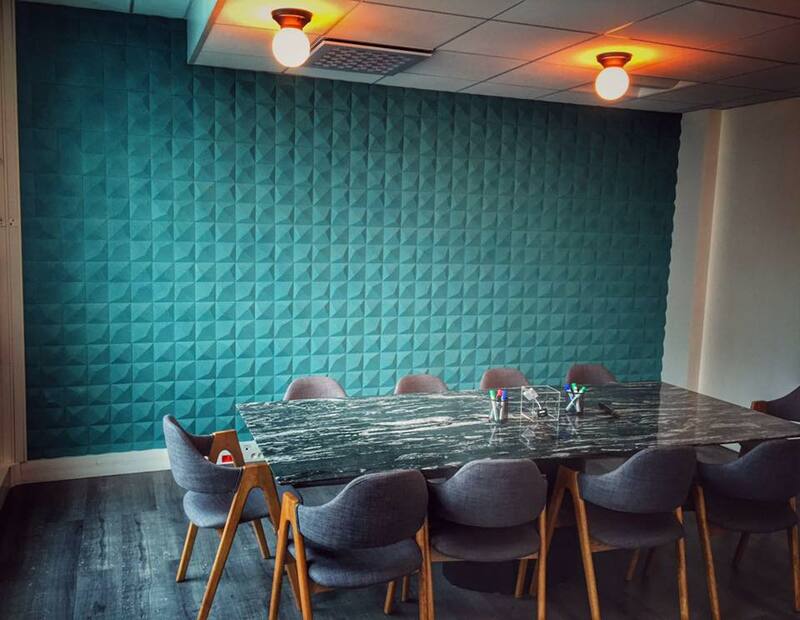 Traditional acoustical solutions are generally bulky and unsightly but with cork tiles you can achieve sound reduction while actually creating a more attractive space. A cork tile wall will add color and warmth to your space but beyond that, most of our wall tiles are also able to double as a decorative pin board, allowing space for reminders or photos- an excellent feature for any home or conference room. Cork tiles can also be used to create elements such as headboards or even artwork panels for a quick and easy design update. It’s more than just a trend- green and LEED-certified buildings are on the rise and one company in particular is leading the way. Google currently has over 30 LEED-certified buildings and continues to aim for the highest LEED ratings in future building projects. Sustainable Materials is proud to share that all of our cork products are LEED-compliant. Several of our products have been selected and installed in multiple Google buildings including Mountain View, Austin, and Washington, D.C. We carefully select our products and materials to make sure that they reflect our passion for sustainability in building materials. We are always happy to help however we can with your projects- give us a call! LEED, or Leadership in Energy and Environmental Design, is the most widely used green building rating system in the world. 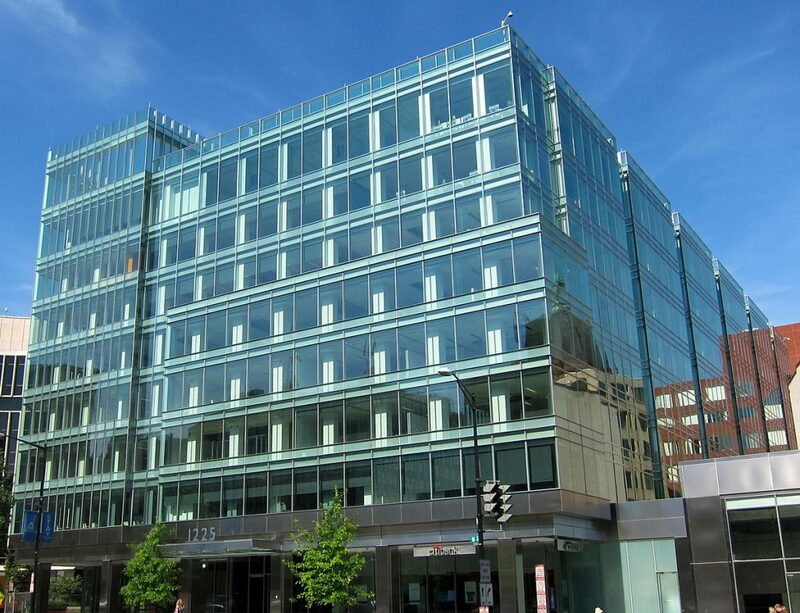 LEED is available for a variety of building types, both commercial and residential. The more energy-efficient and green a building is, the more points it will earn towards LEED certification. There are 6 categories which cover everything from the building location to the materials used and even the innovation of design. Green building requires re-thinking the selection of materials as well as the function of the space over time. Ideally, the materials and resources used for buildings will not only do less harm but perhaps take a step further and actually replenish the natural environments from which they came. Life cycle assessment is an important part of planning to help a design team make the best possible decisions. With the rise and success of startups and collaborative office groups, creative space is more important than ever when designing or renovating an office. Closed doors and isolating cubicles have been replaced with open spaces, lower walls and multiple collaboration zones. Creative areas should include flexible seating and furniture, allowing for different uses throughout the day and providing a natural space for coworkers to meet and share ideas. Comfortable seating and flexible ottomans allow for a variety of seating arrangements, conducive to group discussions or one-on-one brainstorming. Lounge seating can create an open and relaxed area, helping employees to feel comfortable and encourage conversation. Standing height tables with stools offers employees different posture options, keeping them engaged and reducing fatigue. Adding tackable surfaces like cork wall panels will allow users to actively engage and share information and ideas. Additionally, cork provides excellent sound absorption for an optimal meeting space. White boards or glass surfaces create a great place for writing and drawings ideas that everyone can see and contribute to for instant brainstorming. Post-it notes can be quickly arranged to express ideas and thoughts. Don’t forget to incorporate technology too- including monitors or projectors will enable users to share digital content and collaborate with teammates, even those in remote offices. It is also important to consider the flooring when designing your space. In an office, flooring should be aesthetically pleasing while also offering good sound absorption and cushion for long periods of standing. Cork flooring can provide all of these features in addition to offering high-traffic durability. 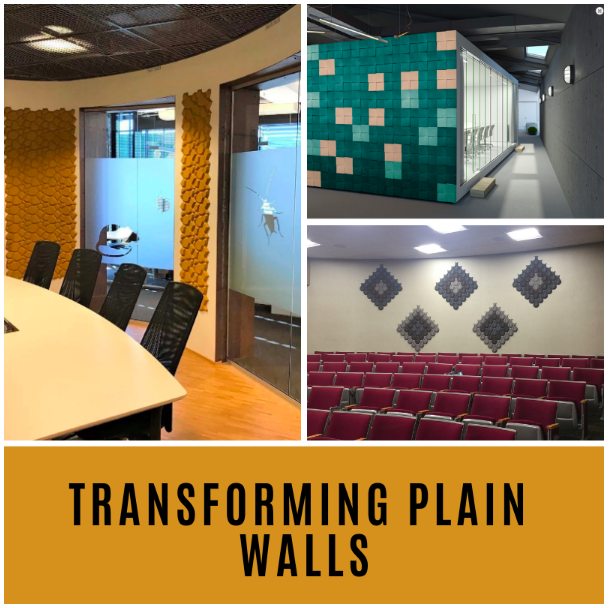 When designing or remodeling, the acoustic properties of a room should always be considered, and ultimately be based on the type of activity intended within the space. Each activity has its own challenges, and therefore would benefit from its own acoustic design. 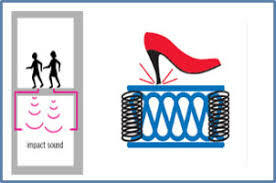 Oftentimes large spaces and hard surfaces result in unwanted sound that interferes with the function of the given space. This can vary from room to room because what is disturbing and unacceptable in one design application, may be acceptable to another. When sound reflections are focused rather than dispersed, it can cause reduced speech intelligibility and adverse effects on music. Here are 3 things to consider in order to optimize the acoustics for your design. 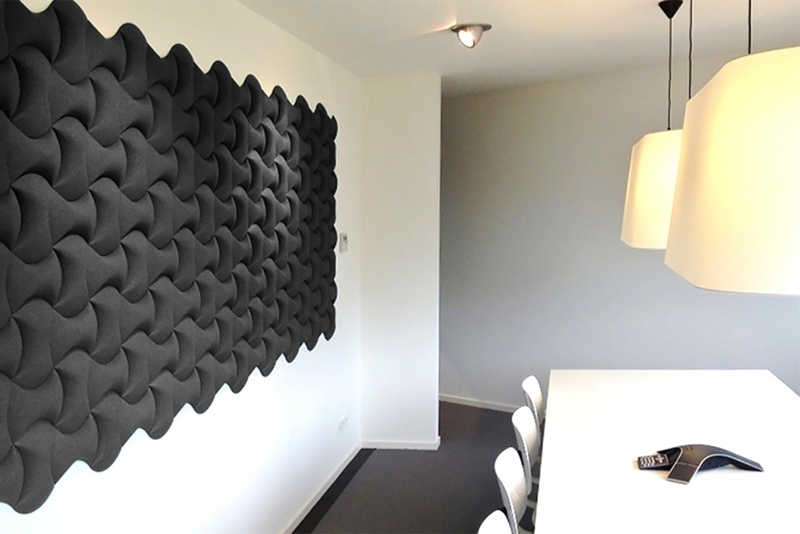 Unlike regular wall surfaces which can reflect sound, cork wall panels can help absorb and reduce acoustic noises. Cork is often used in music recording environments as noise reduction material because of its excellent sound absorption. All of our cork bricks and panels are easy to install for a great-looking solution for reducing excess noise and reverberation. For example, the Noise Reduction Coefficient for our cork bricks is 0.15 NRC (absorbs approx. 40% of sounds in the human voice frequency range, which is where cork excels). Using cork on the walls in conference rooms and office spaces is a simple way to create an ideal meeting room. Cork is naturally good at noise reduction and it also prevents sound and vibration transmission. Using cork on walls and floors can reduce the sound level of noise due to impacts on the surface, such as those resulting from movement of people, dragging furniture or falling objects. In multi-family construction in the United States, there are minimum IIC and STC values that a floor/ceiling assembly must achieve. The Uniform or International Building Code (U.B.C. / I.B.C.) call for a minimum 50 IIC and 50 STC values. Each of our cork flooring options (Ceramicork Tiles, Ceramicork Planks and Comcork) exceed these requirements, with an example being for the Ceramicork Planks that have the following acoustic values: over an 8” concrete slab: STC – 58dB, IIC – 68 dB; over an 8” with dropped ceiling: STC – 60dB, IIC – 73 dB. For a summary chart of these values for all other products, please see here. Cork products are a great choice for building projects such as apartment buildings and office spaces where there is a need to reduce sound from adjoining rooms. Our cork bricks and blocks are a quick and easy way to add sound insulation to any wall while also looking great. We love cork – its sustainable nature, its usefulness, its beauty. But what’s really behind our love affair? What’s the back story on cork? The majority of cork production takes place in Portugal, Spain, and North Africa, where the Mediterranean soil, temperature, and rain conditions are ideal for the species to flourish. 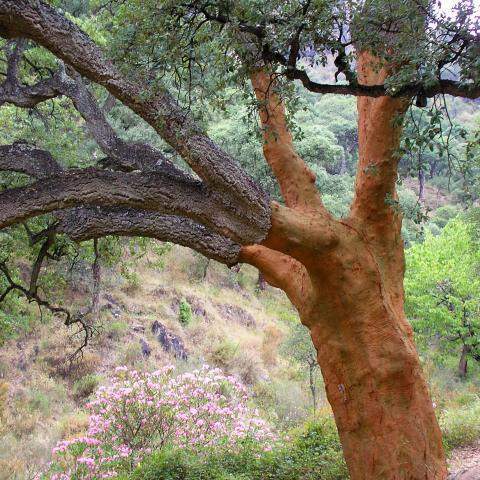 During harvesting, the outer bark of the cork oak’s trunk and major branches are carefully stripped by hand (no mechanical devices are allowed). The tree is not cut down and continues to live and grow, thus maintaining natural habitats for the wildlife in the area. Bark peeled from the cork trees is air dried for about 6 months, then sorted by quality and boiled and flattened into slabs. Better quality slabs are used for wine/champagne stopper creation, and the rest used mainly for industrial components (like gaskets), construction products (like underlayment and insulation), and as a component in flooring and other decorative materials (this is where we come in). Why do we care so much about cork and cork products? Well, not only is cork a sustainable and environmentally friendly resource, by its very structure it is both simple and complex in function, all at the same time. Cork is basically made up of cellular pockets of air, some 200 million per cubic inch of material. These air pockets severely limit the conductive properties of the material, which correlate with the reduction of the transfer of heat and sound, giving cork tremendous thermal and acoustic values. Boulder, CO – Sustainable Materials LLC will introduce Metalegance™, a new large-format, fire-rated, metallic panel made of cork at HD Expo 2017. Metalegance™ provides a commercially viable and hospitality driven interior wall finish, that takes cork in directions it has never been. Available in 3 distinct finishes – Metallic, Oxidized, and Cementitious, ‘sustainable’ interiors have never looked so elegant and refined. 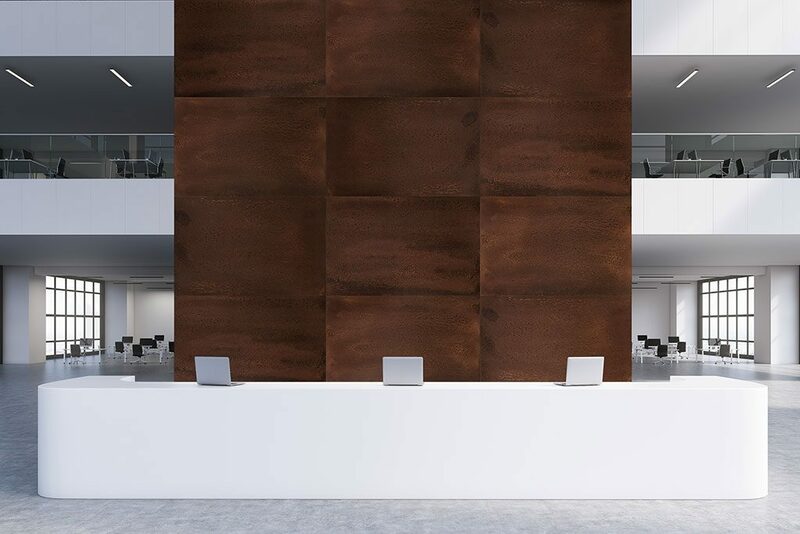 Offered in panels measuring 3’ x 2’ that are only 4mm thick, Metalegance™ breaks from the tradition of what ‘cork’ wall products have historically looked and felt like, to become what cork can be. Suitable for many applications, including large scale spaces, curved areas, and feature elements, installation is a breeze. Some of the other products being shown at HD Expo include: Organic Blocks™, high-relief, color-infused molded shapes made from by-product cork granules; Cork Bricks™, natural cork bark pieces, which are beveled and designed to look like natural brick, but inherently offer high levels of sound absorption; Korkstone™, a highly densified, ‘stone-like’ 3-dimensional cork wall finish available in both organic and metallic colors, among others.